Earlier in the year I bought some Clinique skin care and with it came a free gift tin of miniature clinique products! I was instantly hooked on this brand. I’ve always heard wonderful things about this brand and was really pleased to see it as a free gift in one of my favourite magazines. 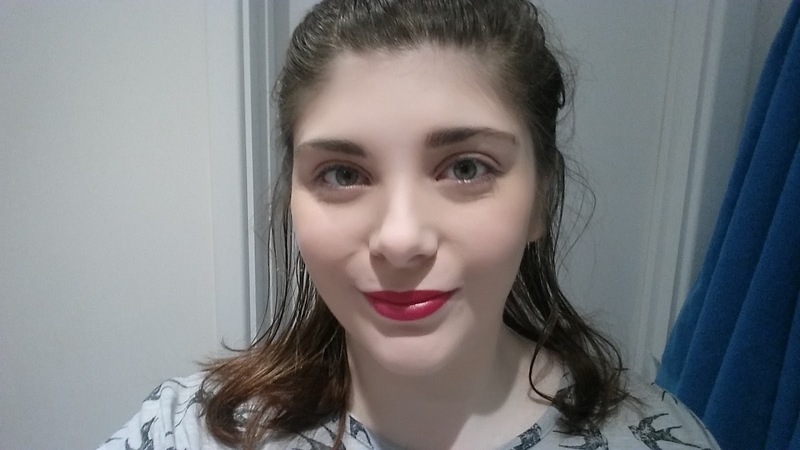 I’m not usually one for lipstick but I am exploring different looks now as my confidence grows so I opted for the magazine with this ‘Cherry Pop’ lipstick. The first and possibly best thing about this lipstick is it’s tiny size. 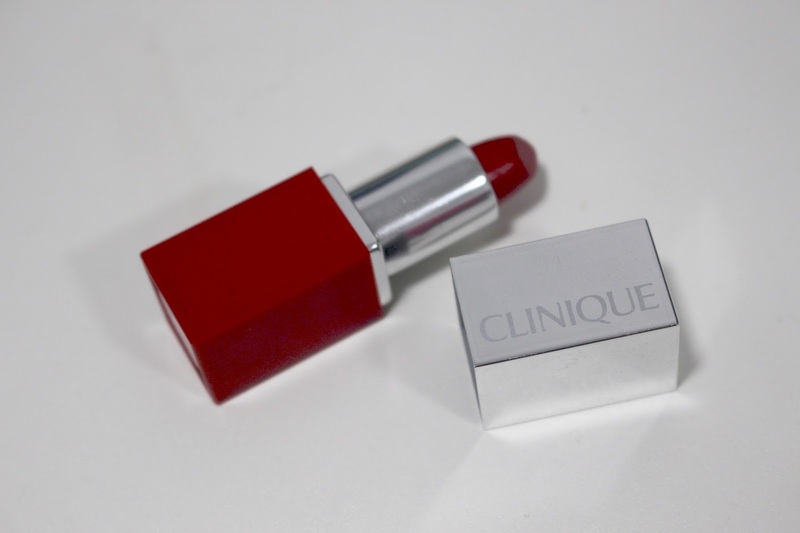 The lipstick itself is a tiny curved shape, perfect for people with small, thin lips like me. 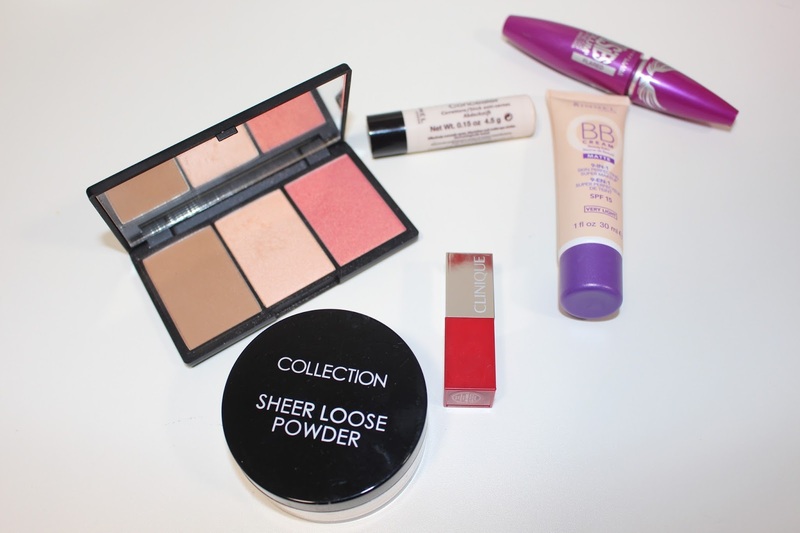 It’s also handy sized for a travelling makeup bag and adds to my miniature Clinique set! I rarely wear bright coloured lipsticks but I started wearing this in December as it was such a festive colour. 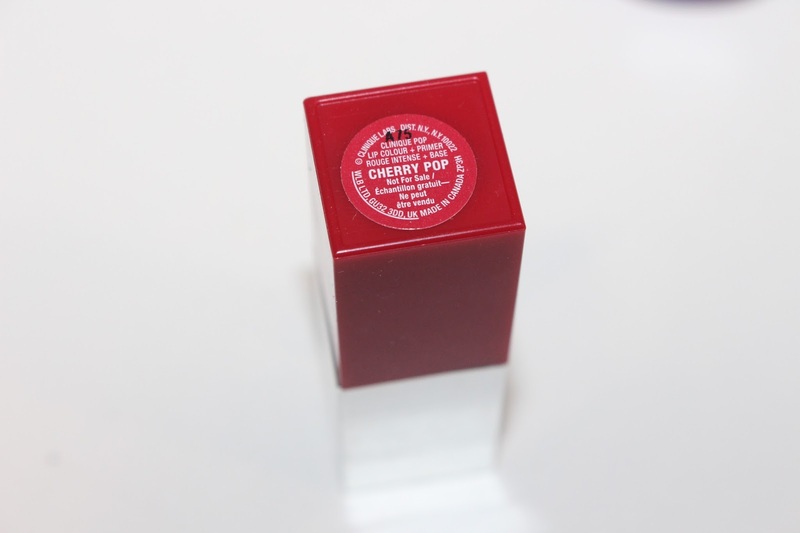 The cherry colour has a sheen and a glitter to it which makes it vibrant and works perfectly for my pale skin tone. It really is a gorgeous colour that is versatile as I can now keep it for special occasions and with Valentines Day next month, it’ll make the perfect date night lipstick, going with me in my purse! And what’s the best part? I feel very confident wearing this whereas in the past I’ve worried about lipstick making me look silly. I can’t wait to wear this again but I’m saving this little lipstick for another date! 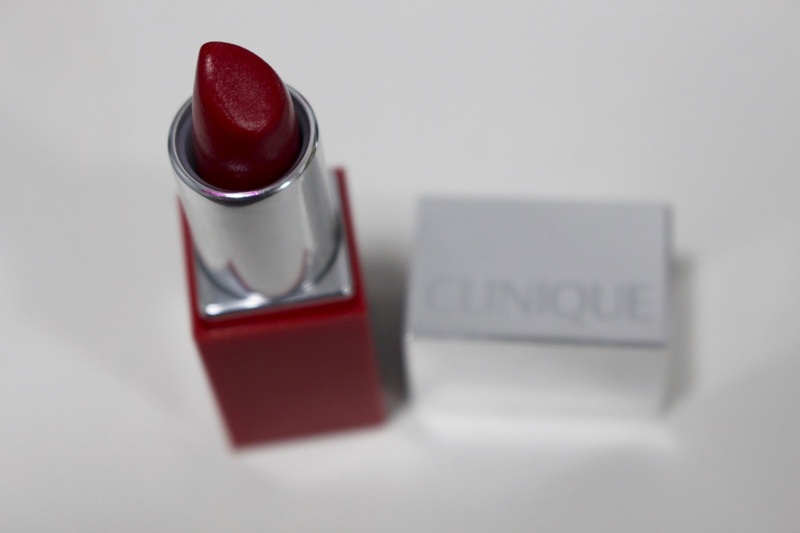 Have you ever tried a Clinique lipstick, what did you think? Next Post My first video of 2016!